In Dublin's department stores, you may have noticed the homeware section is now peppered with luxury drinking accessories. They call it ''drinkware''. Among the popular items are glass decanting fountains with cleaning beads, designer corkscrews in bubble gum colours and animal designs, glasses for various wine regions, stylish cooling sleeves, ''entry'' and ''premium'' level wine sets, and ''wine pumps''. Meanwhile, in the winery section of local food stores in well-heeled parts of Dublin, you might also notice a sommelier employed to help you choose the best tipple. It's all part of the rising economy as Michelin restaurateurs say our palates are more gnostic than in the Celtic Tiger years. But there's a darker side to this. In recent days, a new study reported a rise in ''severe'' alcohol use. A notable feature of the Health Research Board report showed that women are closing the gap on men on dangerous drinking with more than two-thirds of women who presented to the State's alcohol treatment services in 2017 classified as "alcohol dependent". So what is behind this worrying trend? Austin Prior, a psychotherapist and board member of Dublin's Rutland treatment centre, says he is "not surprised". "Harmful drinking in women has become more of a feature over the last 10 years, in particular, drinking wine at home." Commenting on the new trend for drinkware, he says drinking accessories "have become a fashion item". He says the women he sees from middle to upper class social backgrounds "are putting a couple of good bottles of wine into the weekly shopping basket and seeing that as very acceptable". They have an image in their head of the stereotypical alcoholic or problem drinker that is not in line with reality. "We tend to have this image of them as a person who can't get out of bed in the morning but most alcoholics I come across are able to function." He says: "If you are saying 'I need drink to de-stress', then that is a red flag." He lists the "telling questions" that could reveal if your drinking habits have crossed into problem territory: "Can you stop when you want to stop? Can you always tell in advance how many glasses you are going to have? If the answer to those two questions is 'no' then ask yourself: 'is this causing any negative effects in my life'? And I don't mean anything as obvious as not being able to work. It might just be that you are often not as clear-headed the next day or you are feeling under the weather and not in the mood to do something with the kids. It is subtle. And if that is happening to you, then you have to ask yourself 'why am I doing this?' And if you feel 'I need to stop and I can't stop', or else you realise 'I can't stay stopped', then you have a problem." 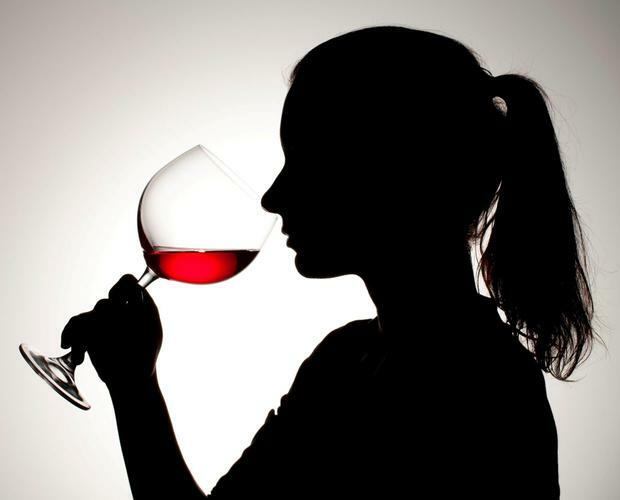 Mr Prior describes a more realistic description of the typical female problem drinker: "She sees the odd glass of wine every night as very acceptable. That turns into a couple of glasses of wine on a nightly basis and over the years, the volume is gradually increasing." Now running his own private practice, he describes the women he treats and the reasons behind their drinking: "If you go to the extreme end of the scale, they are dealing with childhood issues," he says, "but at the other end it can simply be social anxiety and peer pressure and the need to appear in good form when they are out with friends. In order to be seen like they are having a good time and relaxed, they have to have a drink." He adds: "There's also the fact that alcohol was always used as a medication for trauma in the past but now it is far more common to be used in relation of this whole idea of 'de-stressing'." The one element that stops a lot of people facing their problem is what Mr Prior describes as ''the denial process''. "They think, because they are a success in their business or because they can stop for work days or 'take a break from it' for a few weeks, that they don't have a problem. But they can't stay off it. And when they do drink again, the question they have to ask themselves is 'do I have control over the amount I drink? or do I often drink more than I intended to?" Geraldine Moane is a psychologist with more than 30 years' experience. She also has over 20 years' experience in the area of alcohol, in particular, in relation to postcolonial psychology and the Irish psyche. She says: "It's important to remember there is often a tendency to feel that there is something wrong with women and that's why they are behaving in a certain way, somehow that it's a woman's fault that this is happening. "And it's important not to view the reasons for this increase like that." She explains: "Women did not drink to the same levels as men in the past, because they were prevented by cultural attitudes. There was a double standard around women's and men's drinking habits, just like there was a double standard around their sexuality, we judged them differently, and that is changing. So women are adhering more to cultural norms and that is to drink a lot." She echoes Mr Prior's assertion that ''social anxiety'' can play a part in women's propensity to drink large amounts of alcohol: "There are cultural norms around women to be nice and agreeable and good humoured and non-confrontational and fun and, when there is pressure to drink, it feeds that." She adds: "That norm is very difficult for women. And drink makes it easier to perform in whatever way is expected of you. "The other thing to remember is that women drinking at home is another cultural issue. Men will go to the pub midweek and that's not seen as problematic. But women are more likely to drink at home alone. That dynamic is hidden and more secretive, which means, when a dependency is created, it is more likely to take longer to spot. And they will be further down the road."